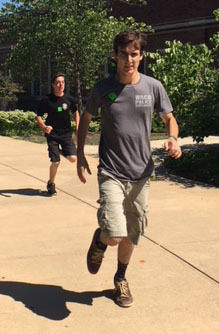 Want to learn more about Exploring? Visit the Learning for Life website. 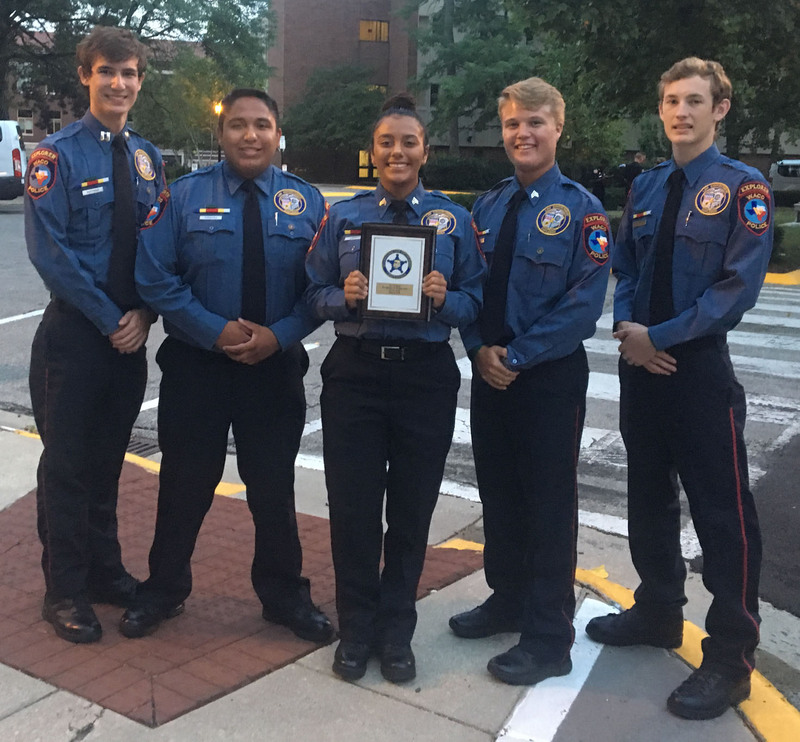 On July 14th, 2018, one team from Waco Police Explorer Post 415 traveled to West Lafayette, Indiana to participate in the 2018 National Law Enforcement Explorers Conference (NLEEC) at Purdue University from July 16th to July 20th. 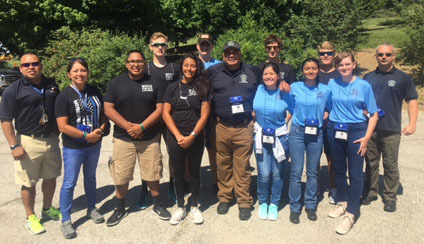 Explorers Christian Hoffman, Jace Burns, Karina Arroyo, Zachary Pilgrim, Gabriel Gongora along with Officers Sofie Martinez and Babe Torres attended. 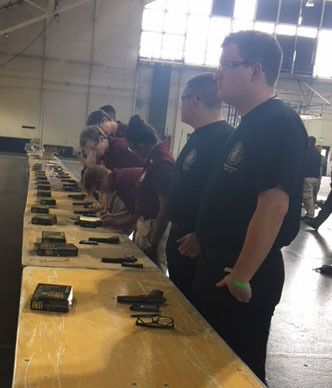 160 posts from throughout the United States and Puerto Rico participated in educational seminars, competed in individual and team events. 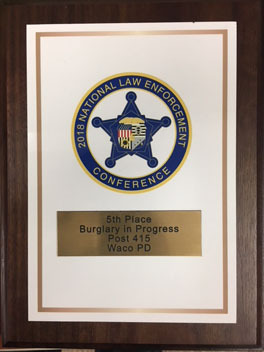 Post 415 placed 5th in the Burglary in Progress scenario. 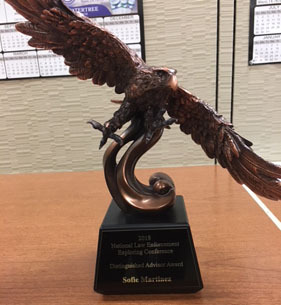 Officer Sofie Martinez was one of two advisors to be awarded with the 2018 NLLEEC Distinguished Advisor Award. 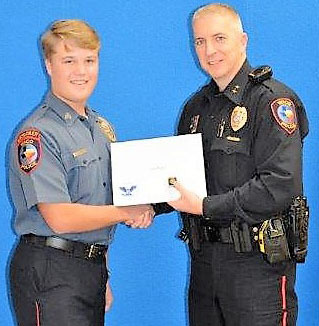 On April 6th, 2018 at the annual Waco Police Department Awards banquet, Waco Police Explorers were recognized for their volunteer work. 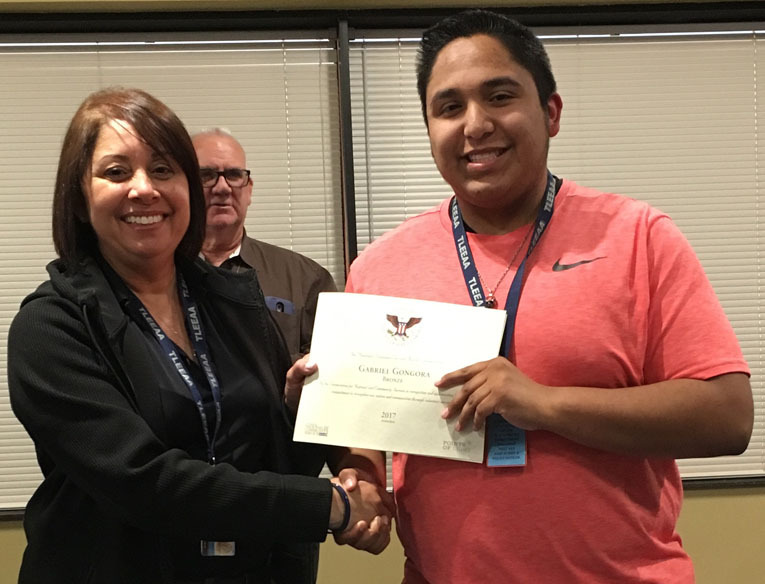 Jace Burns and Gabriel Gongora were awarded the Presidents Volunteer Award. 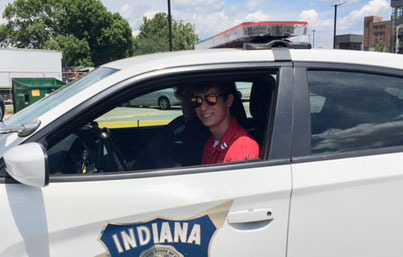 Sergeant Jace Burns attended the 2017 National Law Enforcement Explorer Leadership Academy. 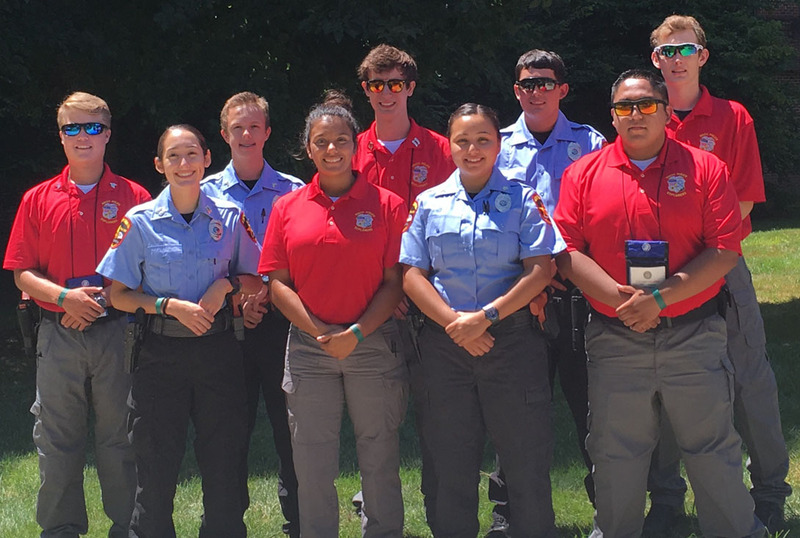 Jace was one of 30 Explorers nationwide selected to attend the weeklong U.S. Border Patrol Academy in Artesia, New Mexico. 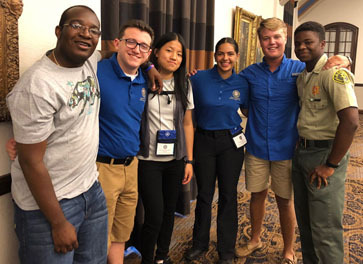 At the 2018 National Law Enforcement Explorer Conference, Jace reunited with some of his academy classmates. 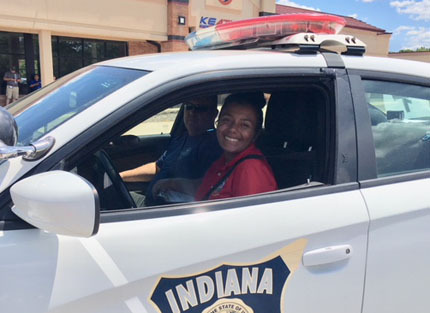 Two of our former Waco PD explorers are currently serving in the Middle East. 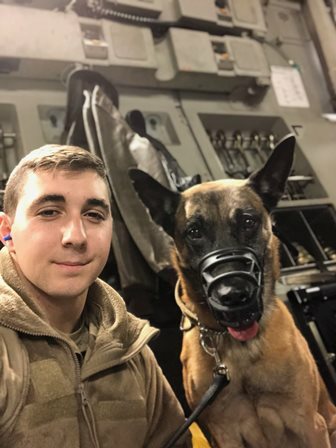 PFC Tanner Sheldon and his K9 Amy, were deployed earlier this month from Fort Hood to Iraq. 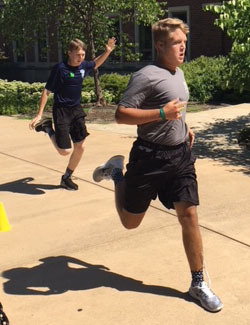 Blake Knoph served in the Marine Corps and as a deputy with the Limestone Sheriff’s Office.